Rappers have always taken the extra step to keep their kick game is proper, and you need look no further than artists like Kanye Weat and Swizz Beatz’s recent collaborations with shoe companies for proof. Now, ?uestlove of the world famous Roots crew joins that list, as the iconically-coifed drummer has linked up with Nike to release a new series of exclusive hi-top Dunks. 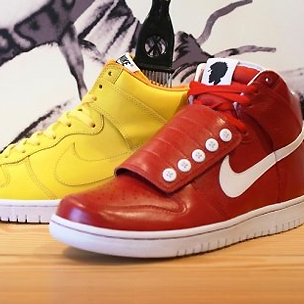 Slated to drop tomorrow via UNDFTD, ?uest’s custom kicks – dubbed the Dunk Hi Bz – will come in two colorways, red and yellow. The former pair will feature a five-button lace cover and a silhouette of ?uest on the tongue, while the later pair will feature an etching of ?uest’s head on the side heel. This isn’t ?uestlove’s first sneaker venture with Nike. 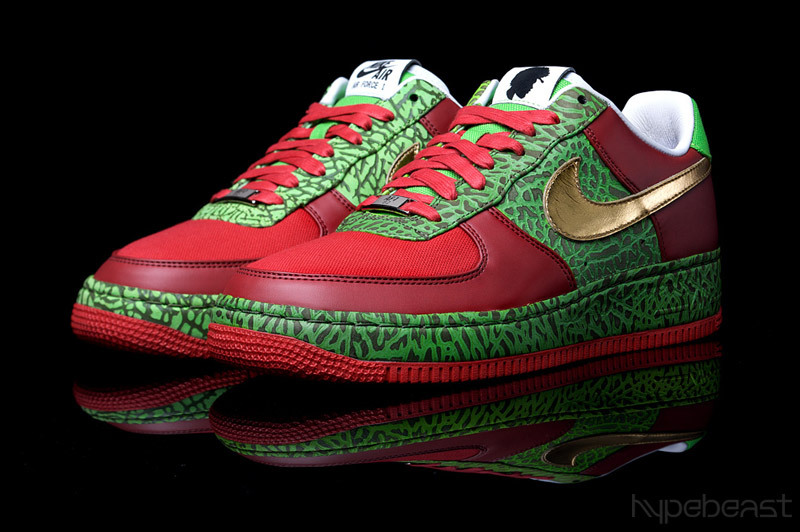 The drummer also collaborated with the company on a custom pair of Air Force 1’s in 2008. An image of the shoes can be found below. Sneakerheads looking to cop a pair can go to UNDFTD’s website for more information. In other news, Eminem’s recent Super Bowl XLV advertisement with Chrysler automobiles continues to yield major benefits for the company, as Canadian Chrysler dealerships are reporting that the ad sparked significant interest in the new Chrysler 200 model. As DX reported earlier this week, Eminem’s critically acclaimed Chrysler commercial proved incredibly lucrative for the car company state-side. Now, Chrysler Canada’s spokeswoman Lou Ann Gosselin has confirmed that the ad is having a similar effect up north. Finally, California group the Kottonmouth Kings are preparing their latest offering Legalize It EP for an April 20 release. The group – who recently added Oregon emcee Dirtball to their ranks – said this digital retail release will feature select songs off their twelfth studio album Sunrise Sessions, due out later this year. Fans can also check the Kottonmouth Kings out on tour this April in promotion for their EP. The dates can be found below.